Get to know the layout of Camp EDC, and make the most of your weekend adventure! At the heart of Camp EDC lies the Mesa, a bustling hub of entertainment, activities, and amenities that campers can enjoy and take part in all weekend long. Moon Glow Camping offers the luxury of a pre-setup ShiftPod2—an air-conditioned shelter system constructed with weather-resistant fabric to protect against the elements. Desert Rose Camping offers the luxury of the pre-setup ShiftPod2 along with proper beds, linens, pillows, and air-conditioning provided. Drive your own RV on-site! We offer a designated plot and options for power hookups, RV water refills, and pump-outs. Learn everything you need to know about entering Camp EDC, including camping hours, check-in, and in & out policies. 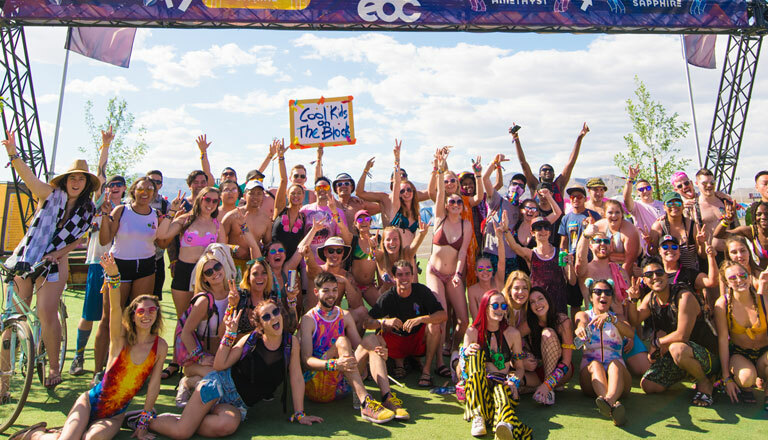 Camp EDC is a shared space, and we want you to feel at home! Check out these guidelines to help everyone make the most of the weekend. Got questions about camping passes, grilling, or any other Camp EDC issues? We’ve got answers.